In recent years a lot of discussions is going on how PRP therapy work for hair loss and thinning hair. Platelet-rich plasma was established to treat the tissue and tendon injury in orthopaedics, as it is known to regenerates tissue via growth factors that promote healing. For hair loss, Platelet-rich plasma injection is used to promote hair growth where follicles are live but not able to grow. Today both men and women experienced hair loss and undergo this non-invasive procedure to either promote hair growth or to delay hair transplant procedure. In the past only two solutions available for hair loss such as topical or oral medicines and invasive hair transplant procedure. Due to enhancement in technology, using improvisation methods and innovative approach opens a various path in treating hair loss and hair thinning for both men and women. Many research proves that for hair loss PRP is a great treatment because it increases the hair count, hair thickness and the growth phase of the hair cycle. Generally, hair loss also has a psychological impact on men and women. As you need to know that platelets are always moving into our bloodstream which works as a repair crew in our body. When you get injured and your cells need to rejuvenate, then only the platelets will take care of those damages. 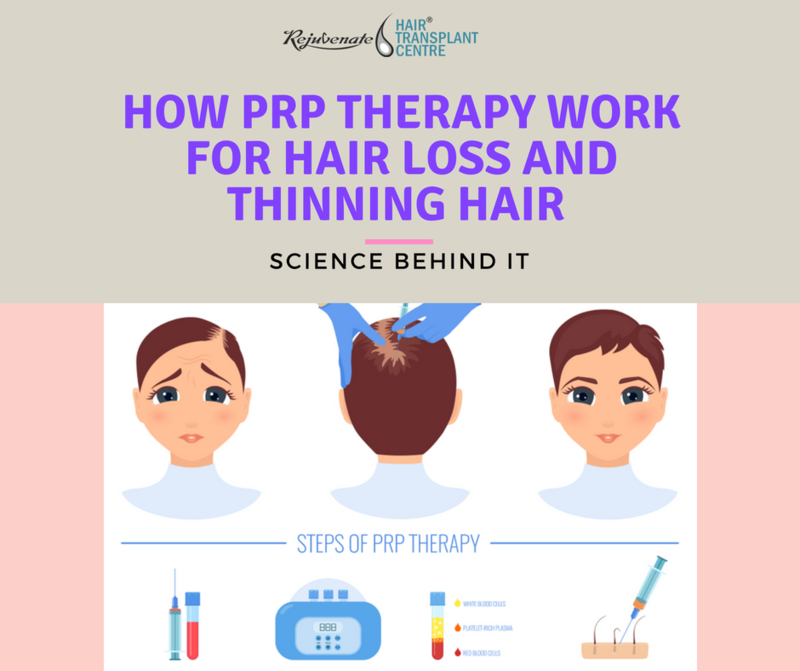 So if we talk about the role of platelets in hair loss, then the PRP method will help to regrow the hair after hair loss. As PRP help to repair the hair follicles and in the next few months, you will get the difference in hair quality and density. PRP therapy is used in different fields such as in cosmetic, orthopaedic, dentistry and in dermatology. It is known to treat various problems like muscles, nerve and joints, injured tendons and in hair loss. Many studies indicate that PRP is extremely safe in treating hair loss for both men and women, a patient’s blood is used in this process so there is no risk of allergic reaction or rejection. It only promotes natural growth of thick hair. 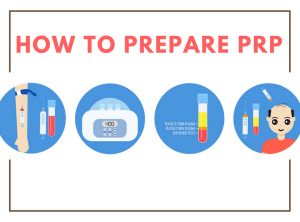 PRP is a painless procedure and it takes around 30- 40 minutes to prepare the solution. Blood from the patient’s arm is taken and the is put into a machine called centrifuge machine in a special container designed especially for the preparation of PRP. When the centrifuge machine spins at a high speed then it separates the blood into red blood cells and concentrated platelets. Once the red blood cells separated from the plasma. The plasma which is rich in platelets is ready to use for treatment and it injected directly into the scalp. Do Any Risk Involved in PRP? In simple terms, there is no risk of allergy involved in it because the blood is used from the patient’s body itself. Some people experience minimal pain, pinpoint bleeding and redness when the injection is delivered on the scalp. But many people don’t feel any pain after placing the injection on it. The greatest success rate in terms of the result was seen in those patients who have weak quality hair and experiencing hair loss on the scalp. To know whether you are the PRP candidate or not, you have to take a consultation with the doctor which need a proper diagnosis. PRP is also used by patients with androgenic alopecia. This is a genetic disorder and it shows positive results in it. As it typically occurs on the top of the head. In some cases, it shows that if anyone with the underlying disorder such as a thyroid disease or lupus then the patient may not likely to get the good result because these conditions will continue to cause hair loss over time. And if you are on blood thinners, then your platelets won’t work as effectively as it works on other. Hair growth improvements started typically in about three months, but usually, it takes six to twelve months to visually “see” the difference in photos and in the mirror. It is noticed that PRP therapy works better if your hair loss is recent. As we all know that for getting the best result, consistency is the one key. In PRP many patients experience different timeframe to get the result, It depends upon the severity of the hair loss. And after receiving treatment every three to six month it stimulates the stem cells and regrows hair, also stopped hair fall. It is very important to keep in mind that to PRP is the treatment of choice for thinning hair and hair loss only. By choosing the best doctor or clinic you will get the right concentration of platelets. Selecting an experienced doctor provide best results and guidance. Usually, PRP treatment price depends upon location and many clinics provide affordable cost with a great solution. PRP Therapy provides great results only for people suffering from hair loss and thinning hair, and it’s not for everyone. People who have lost all hair cannot undergo this treatment but they can go with a hair transplant procedure. It can only make the existing thinning hair thicker by strengthening the hair follicles. It is important to start PRP hair restoration treatment early on and whether you are a suitable candidate will be determined during your consultation.